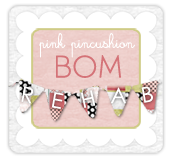 Sinta, at the Pink Pincushion, is hosting a BOM Rehab. The rules are easy, work on your BOM project or projects, blog about it on Monday, and maybe, in addition to working your way through your BOM projects, you may win a prize! It's a nice motivator, make a block or two and join in the fun. As luck would have it I'm working on a BOM, Memories of Provence by Monique Dillard at Open Gate Quilts. That gets me up to 4 blocks total. 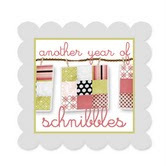 So far I like all the blocks I've made, not a stinker in the group!